The upcoming Xiaomi Mi Play will be available in three memory configurations in China. Xiaomi is set to launch a new smartphone in China next week. 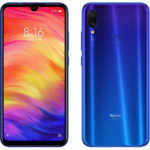 Dubbed Mi Play, the upcoming Xiaomi smartphone will be the company’s first to be equipped with a waterdrop notch display. 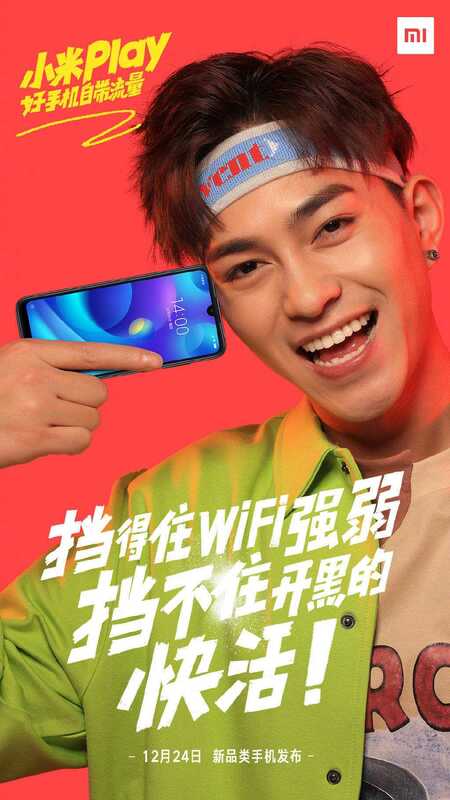 Ahead of the launch event in China next week, one of our trusted sources has revealed a few key details regarding the upcoming Mi Play smartphone. 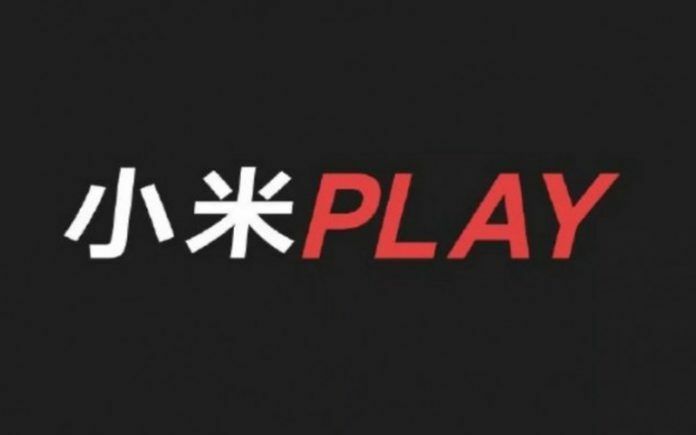 Xiaomi Mi Play will be available in three storage configurations in China. 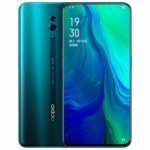 The base variant of the smartphone will include 4GB of RAM coupled with 64GB of internal storage, while the middle variant will feature 6GB of RAM clubbed with the same 64GB of onboard storage. The top-end configuration, on the other hand, will come equipped with 6GB of RAM and 128GB of internal storage. As for color options, the smartphone will be available in Black, Dream Blue, and Dawn Gold colors. 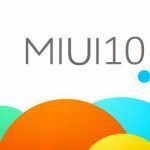 Sadly, there is nothing else that we know regarding the hardware specifications of the Xiaomi Mi Play at this point. 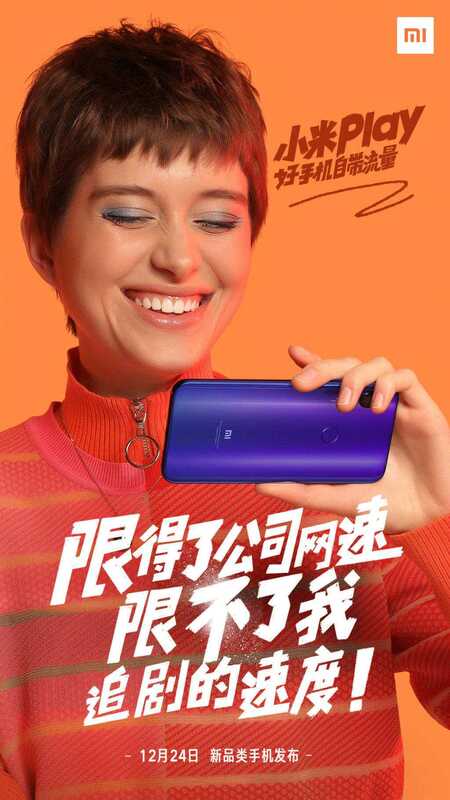 While Xiaomi is yet to reveal anything regarding the smartphone’s hardware specifications, the company did release a few new teaser images on Weibo today. 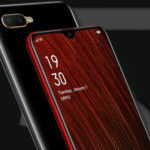 The latest teaser images confirm the presence of a waterdrop notch at the top. As mentioned earlier, the Mi Play will be the first Xiaomi smartphone to use a waterdrop notch design. 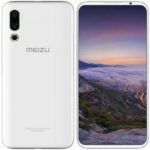 Apart from a waterdrop notch, the teaser images reveal two vertically-stacked rear-facing cameras and a circular fingerprint sensor. We expect the Mi Play to be powered by a mid-range Qualcomm Snapdragon chipset under the hood. As is quite clear by the device’s name, Mi Play will be a smartphone focused on the gaming and multimedia experience. 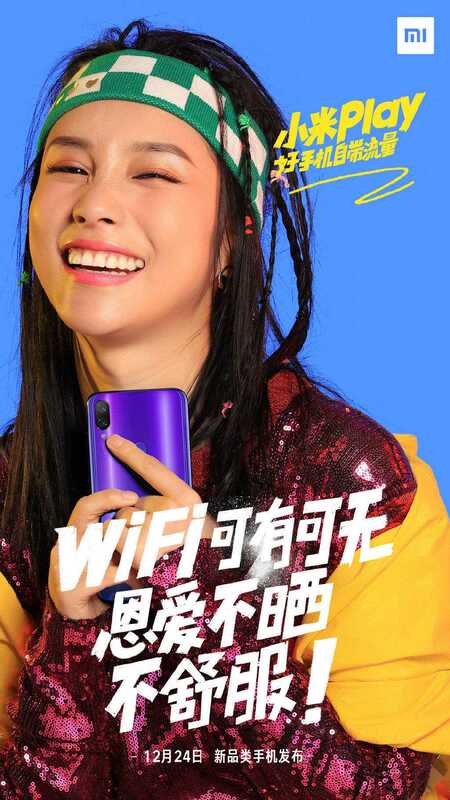 It was previously speculated that the Mi Play would be a rebranded version of the POCO F1 for the Chinese market. 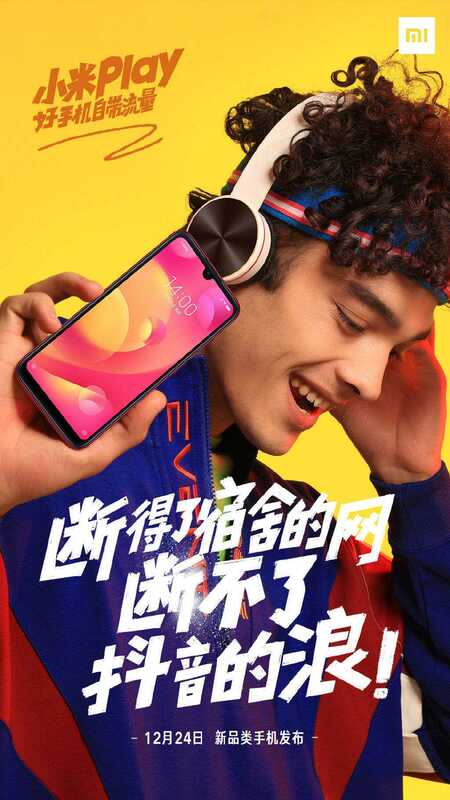 Now that the official teaser images have been released by Xiaomi, it is quite clear that the Mi Play will be an all-new smartphone. The smartphone is set to make its debut in China on December 24.